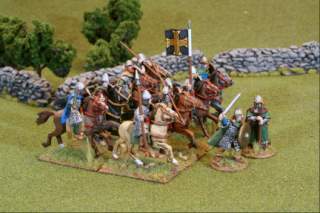 Here are a few early photos of my 28 mm Saxon armyfrom the late Dark Ages, circa 800 to 1000 A.D.This group of 8 horsemen and some various foot soldiersare a mix of various figures I had lying around. 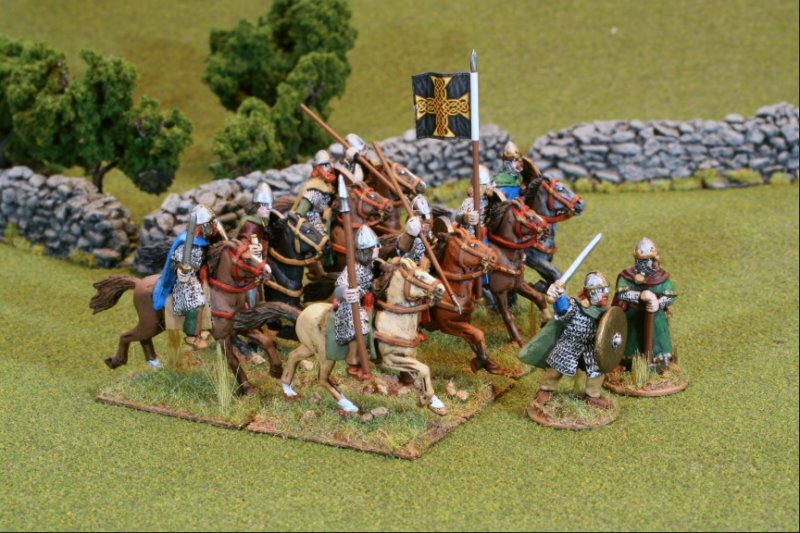 The horsemen are based them on rectangular 25 mm by 40 mm bases. 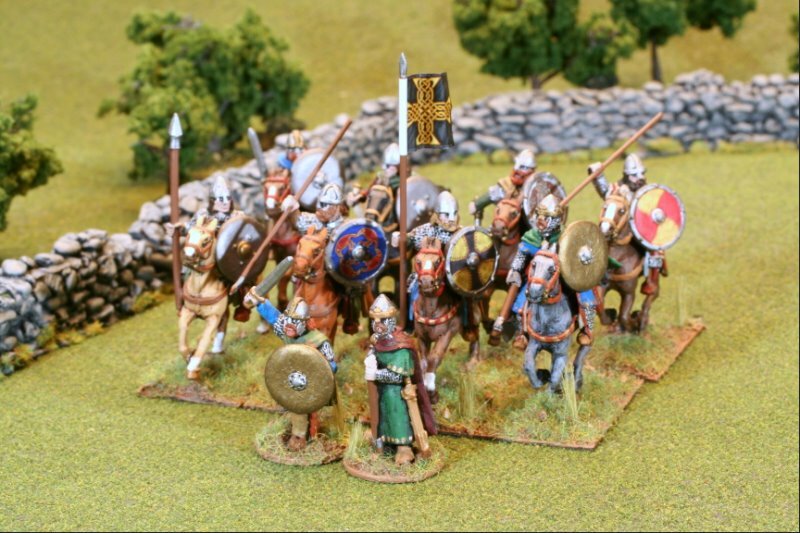 This is 10 mm shorterthan most Warhammer Ancient Battles players use, but I like tight compact formations.All figures are painted with Vallejo acrylic paints. Shields are done with Little Big Men Studios transfers.Some shields had rivets and small embossings. I was a little lazy and did not file down the bumps,so some of the transfers are somewhat wrinkled.But it is nice to see some colorful designs,for these Saxon nobles.Obviously if they can afford mail, they can afford shield paintings. The flag is also from Little Big Men Studios,glued to a piece of aluminum foil, and wrapped arounda long spear.White glue and matter varnish holds it all together. Thanks for reading about my 28 mm Saxons.More miniatures and scenery photos are located at the Miniatures section.There will be more photos placed here as the restof the viking attack force assembles. Last modified: Thursday, 09-Jun-2011 12:53:06 MST.